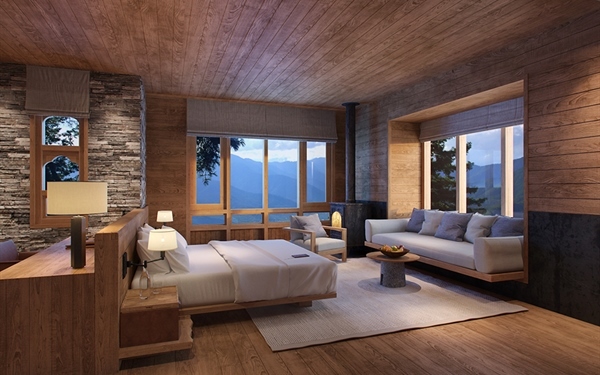 Already home to established luxury hotel chains such as COMO Uma Paro and five Amankora resorts, Bhutan is now gearing up for the opening of even more exclusive properties this year. Luxury adventurers will be happy to know that Six Senses will be opening five boutique lodges with a total of 82 rooms around the country by the end of this year. 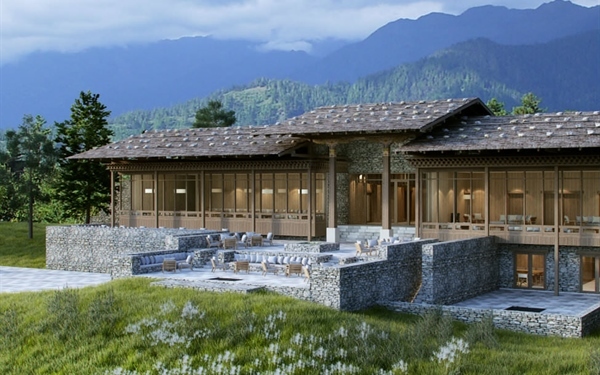 The locations of the five Six Senses resorts are set in Bhutan’s capital Thimphu, Punakha, Gangtey, and Bumthang, each with its own unique design, look and feel. Set on a cliffside with a panoramic view of the capital, Six Senses Thimphu is also known as the Palace of the Sky and incorporates architectural themes of a dzong (fortress). Over in Six Senses Paro, the Stone Ruins describes its location, which is right next to ancient dzong stone ruins and overlooks the Paro valley. 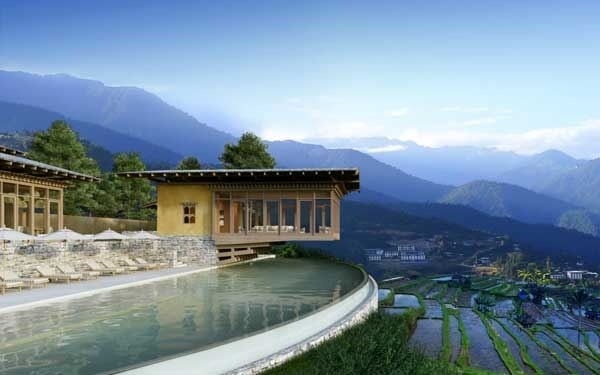 Six Senses Punakha takes inspiration from the low-lying valley that is dotted with farms and vegetable terraces. The exterior lies hanging over a terrace and the interior features plenty of wooden furniture and fixtures. Its description is fitting too: Flying Farmhouse Between Rice Fields. Famous for being the residence of black-necked cranes, Six Senses Gangtey features a bridge-like structure that overlooks the Phobjikha valley where the sacred birds roam freely. The resort is also aptly described as Traditional Bird Watching Bridge. 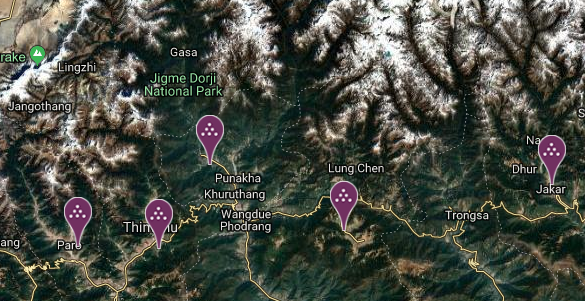 Heading further east is Six Senses Bumthang, which is located in an evergreen pine forest. 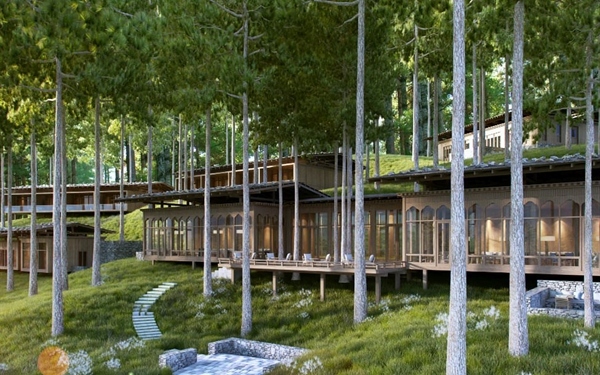 Known as the Forest in a Forest, this resort also features an immersive tree and garden interior design theme. 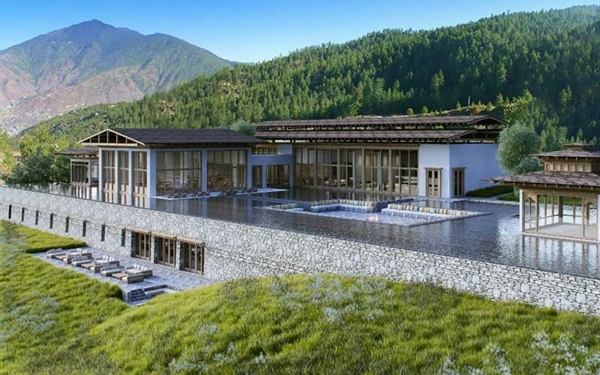 According to Lifestyle Travel Magazine, Six Senses Thimphu, Punakha and Paro are scheduled to open in October this year. Reservations are now being accepted for these three accommodations for travel starting on Nov 3, 2018. Suite rates start at US$1,500 for double occupancy. 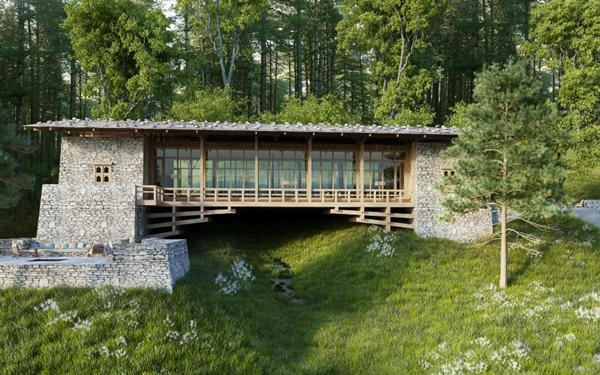 The other two resorts: Six Senses Gangtey and Six Sense Bumthang will open in early 2019.